A native Kansas Citian and 3rd generation Kansan. His roots in the community run deep. A proud Irish Catholic, Sean grew up in a tight knit family with three brothers and a sister. 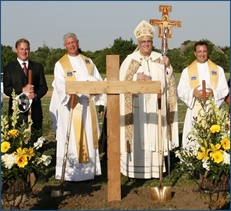 He attended St. Thomas More Grade School and graduated from Rockhurst High School in 1987. Rockhurst is a Jesuit Catholic high school. At Rockhurst, he learned to be an Ignatian leader and a “Man for Others” in the spirit of St. Ignatius Loyola. It was during those years, and through those experiences, that he knew he wanted to be a community leader that made a difference. Sean stayed in Kansas City for college and graduated from UMKC Block School of Business with a Master’s Degree in Business. While there, he served as an officer in Lambda Chi Alpha Fraternity where he was Social Chairman and helped to improve the fraternity’s reputation and relationship within the community through philanthropic events. Sean’s higher education has prepared him well for his business and volunteer life. Sean and his wife, Lexie, live in River Ridge Farms with four sons, ages 20, 17, 15, and 12. Together, they work hard to raise the children with the same values they were raised. They have always been involved with the children’s activities and schools. In addition to the Finance Council he served on, Sean can be found volunteering at school every chance he gets. He and Lexie never miss parent teacher conferences and are very involved in the children’s education. Sean attends school masses regularly, not only to pray with his sons, but also to provide a good example for them, as his parents did for him. Sean has coached his son’s football teams for eight years. The Tarwater family is proud to say their oldest son graduated from Blue Valley High School and is now going to KU as a Sophomore. They have two son’s that are attending Rockhurst High School and their youngest son attends St. Michael the Archangel Catholic School. Sean Tarwater was the President of his HOA in River Ridge Farms for 5 years. Throughout those years, the HOA was able to build up a large contingency fund for future projects or devastating losses. He was able to accomplish this, not by raising dues, but through offering transparency in the actions of the board and allowing input and feedback from all the residents. Under his leadership, he required a bid process for any work hired out and a committee vote before awarding any contracts, continuing to promote transparency throughout the process. By implementing these practices, he was able to guarantee that the best choice was made for the neighborhood. This brought the community together and provided a level of trust that the association was doing the right thing for the neighborhood and not just for those on the board. Sean brought this level of transparency with him to Topeka! Being a proud Irish Catholic, Sean loves a parade! 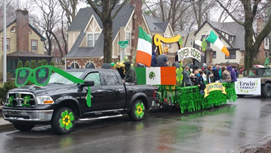 Each year Sean coordinates float building for the area St. Patrick’s Day parades at his home. This float build brings the neighborhood together and forms life-long memories for adults and children alike. This activity facilitates friendships and promotes strong community togetherness. 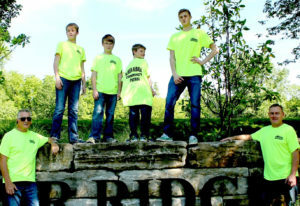 You may have seen the River Ridge Farms float in the Martin City or Brookside Parades. Tarwater is tough on crime. One of the first undertakings that Sean accomplished as the President of his HOA was to bring the community together to tackle a growing epidemic of crime. The crimes experienced were mostly ones of circumstance but they were escalating in River Ridge Farms. Sean had a rally against crime at his home and called upon the Johnson County Sheriff’s Depart and Major Darryl Reece. Over one hundred people from his neighborhood and other surrounding areas attended as Major Reece reviewed all the crimes and laid the groundwork for what we needed to be done to extinguish the crime. That week the neighborhood started a volunteer night patrol, led by Mike Lane. Several of the homeowners, including Sean and his sons, take two-hour shifts throughout the night to circle the neighborhood. They remind neighbors to close their garages and turn on lights. The patrol communicates directly with the Sheriff’s department when there is any suspicious activity. 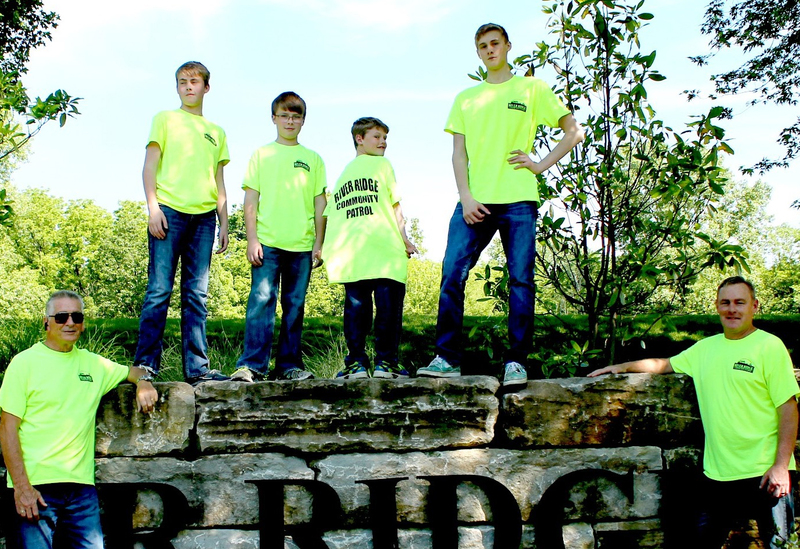 Because of this night patrol volunteer team, River Ridge has the lowest crime statistics in all of Johnson County. Sean will support law enforcement by providing them with adequate funding and the best technology available. He will offer them protections and pay them more under his proposed HERO bill.